Marketing offers greater potential and excitement than ever before, but the industry needs to pull out the stops to keep attracting talent, Mastercard's chief marketing officer told Campaign. The industry faces three huge challenges, Raja Rajamannar said. The first was what he called the "existential challenge" of justifying the importance of marketing to senior management. "There is a more significant accountability on marketers these days to connect the dots between the marketing and business metrics," he said. "But since most of the CMOs come from the creative route, when such questions are posed, they tend to get caught like a rabbit in the headlights. The result is, the role of CMO in many companies is being displaced." He pointed to companies such as Coca-Cola, where the role has been replaced by a chief growth officer, and Kraft Heinz, where marketing is led by a president of global growth. "That’s because the CMOs are not able to stand up and justify," Rajamannar added. "You end up with roles like chief customer, revenue, growth officer. But if you don’t have those things, then what the hell does marketing do anyway?" The second challenge is attracting capable people, he said. "These days, marketing is not a functional specialization, but a general management function, with deep expertise in multiple functions: marketing, finance, data, tech, PR. You are really looking for someone who is a super human being," Rajamannar added. But the best candidates were looking to Silicon Valley or a consultancy or becoming entrepreneurs, he said. "Third," Rajamannar continued, "consumers are telling you to your face – I don’t want your stupid ads. That you are an annoyance, an irritation. Already, there are more than 230 million active users of ad blockers. Phones in Asia are becoming pre-loaded with ad blockers...Not only that, but people are even willing to pay to keep the advertisers out – look at YouTube Red, Hulu, Netflix. Zero advertising. How do you then reach those consumers? That’s a huge challenge. But that’s the most exciting for me." The realities of this last point had led Mastercard to gradually evolve the nature of its long-running Priceless campaign platform since Rajamannar joined the business in 2013 from health insurer WellPoint. "When we started Priceless, the whole idea was to make people aware that there are thing in life that are more important than those money can buy," he said. Like many successful ad messages, that seems a banal point – but it was "very contrarian to the industry at the time," he said. When Rajamannar joined, he found that while the principle still worked for the brand, the activity had not been updated to reflect the huge changes in lifestyle and media consumption. A new manner of interaction was needed, he said: "People hate ads, so don’t give them that. Make ads with them, through them. When you give people experiences, they become the hero, and they then evangelize for your brand." Since then, he has detected a major shift in consumer expectations of how brands conduct themselves. "They started saying that brands should not simply throw ads at them, but should take some action," Rajamannar explained. "That brands have the power to make a difference. And that they should be bold and stand up for what they believe in." So this year the platform has transitioned again, with the new strapline, "Start something priceless." "Until four years ago, it was all about observing priceless moments," said Rajamannar. "The next stage was about enabling those priceless moments. Now we are taking a step further, aiming to inspire priceless moments." Campaign spoke to Rajamannar while he was in London for the Brit Awards, with which Mastercard has a relationship now in its 20th year. 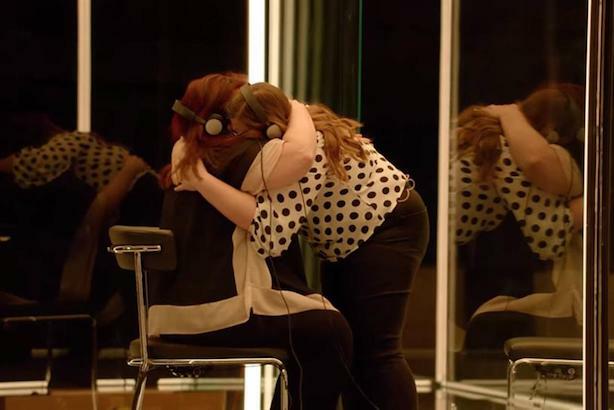 To coincide with the industry ceremony, the brand released the latest piece of work in the campaign, Listening Room, created by McCann London, which uses the emotional power of music to reunite people who have lost contact with one another. "What we are shining a light on here is that relationships are precious," he said. McCann's creative director Chad Warner described the aim to the campaign as "giving these relationships a chance to completely start again. To strip away all the crap that’s getting in the way – pride, history, even words – and let music do its magic." It follows the partnership in January with R&B star SZA for the Grammy Awards, "Can’t judge a book", in which a number of music artists spoke about overcoming people’s judgments and preconceptions. "People are not just assessed for their musical talents, but on their looks," Rajamannar said. "It’s crazy, but that’s how bias prevails." Rajamannar acknowledged there is a risk that brands taking on social issues could come across as self-important, trite, or even cynical – the kind of accusations levelled at Heineken by some voices for its Worlds Apart campaign last year. The trick was "to remain a lot in the background," he said. "But also test, test, test before going to the market. The whole campaign was launched with our employees first before we tried the public.